specialty soft goods for the entertainment, commercial, and residential markets. Whether using your design or creating a design for you, we offer high quality service with a personal touch. productions, special events, film, video, and print. 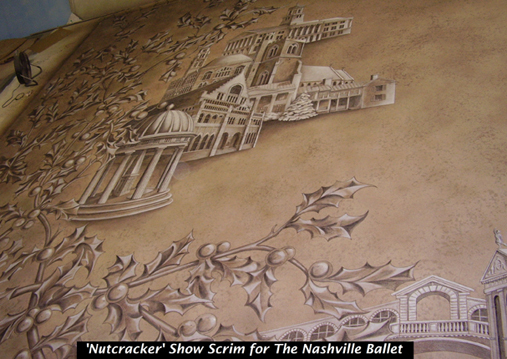 - Scenic Painting for hard scenery, exhibits, and props. - Backdrop and Curtain rentals (please call for information).